Looking for the perfect trailer for two campers or a small family? 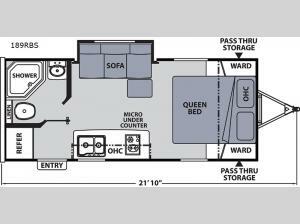 This Apex Nano model 189RBS will allow you to enjoy the great outdoors with comfortable inside amenities. The single slide sofa provides a place to relax, and it can also double as sleeping space for one, or two small children. The rear full bath is conveniently located for easy access in and out when having fun outside. 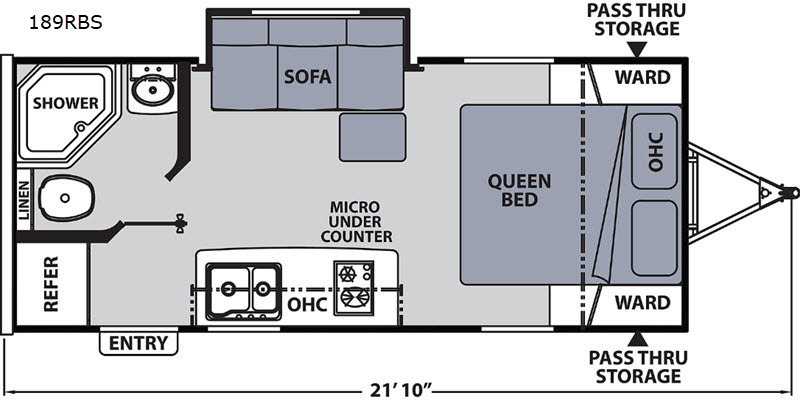 A comfortable queen bed will provide a great night's rest, and there is plenty of storage throughout. You can even pack your golf clubs and outdoor camping chairs in the front exterior pass-through compartment that is accessible from either side. You might even enjoy relaxing outside under the awning and visiting with other campers. Take a look today, and start having fun tomorrow!